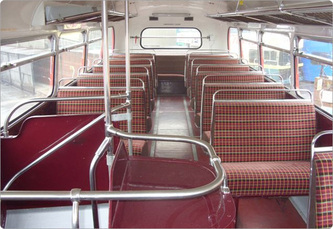 PA system which makes this bus ideal for tours of London. 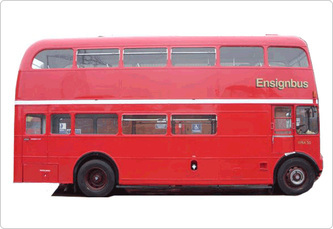 Identically fitted to the coach versions of the Routemaster, the Airport version had one fundamental difference in having the door at the front to allow the vehicles to tow trailers to carry the luggage to and from Central London, to its main airport at Heathrow. 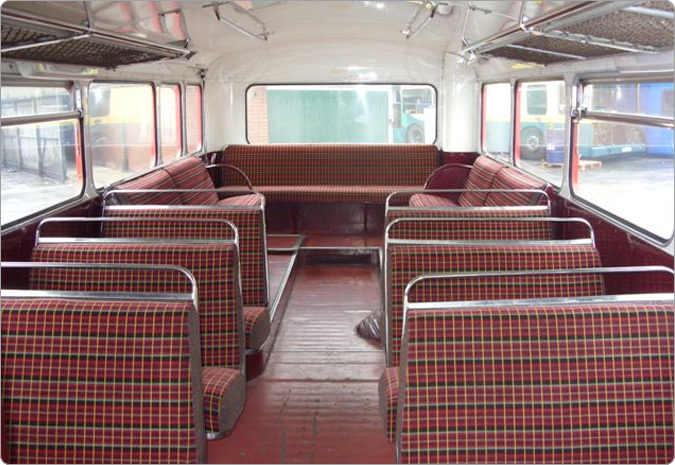 With no door at the back the layout makes it more social and allows for easy conversation. This bus was also heavily refurbished in 2007-8 which included the fitting of a new low emission engine, making it a very green, red bus! With its additional speed and no draughts from an open platform this bus is ideal for longer distances, faster roads or cold days. 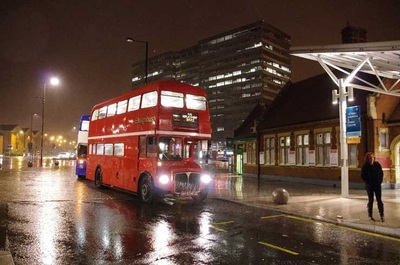 Whilst unmistakably a Routemaster from the front, the small differences and airport connections make it an unusual and popular choice for all kinds of events. Scroll down for its full history. 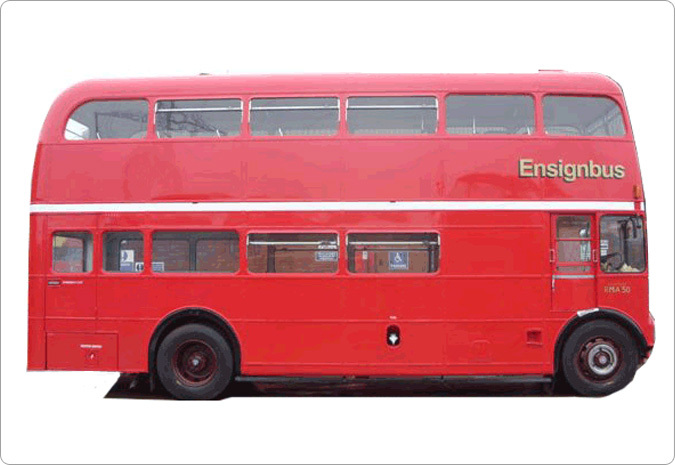 The Routemaster or RM is without doubt one of the most famous types of bus ever to run in the capital. 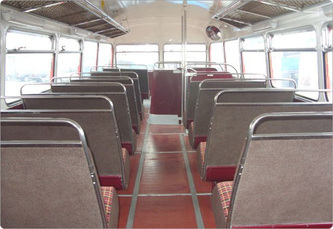 The original necessity was for vehicles to replace the Trolleybus which was due for replacement in 1959. 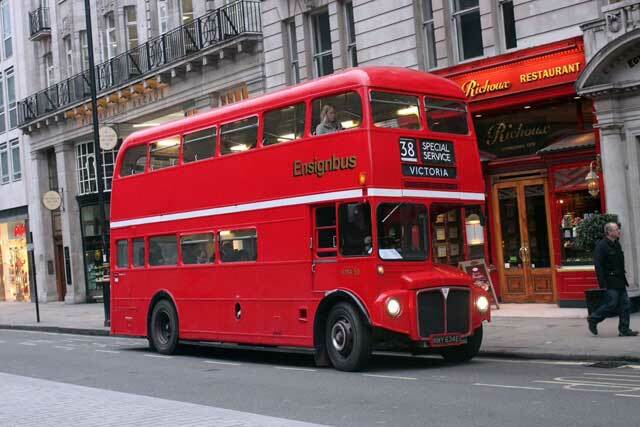 Following a lot of research it had been decided to increase the capacity of London’s buses from 56, such as the RT, to 64. 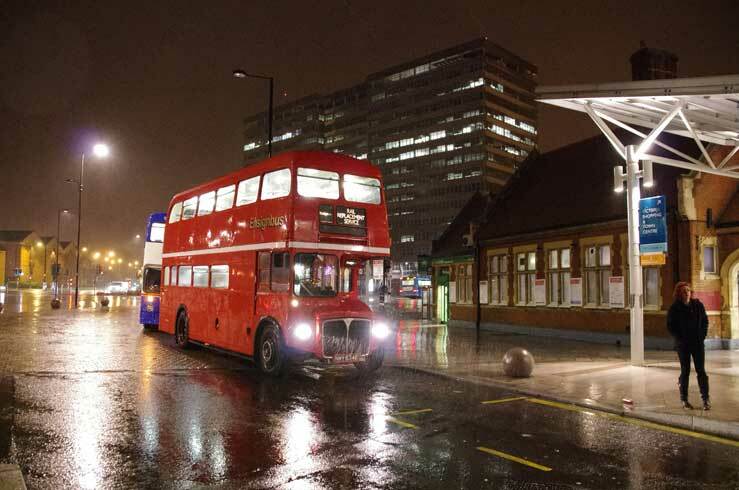 Following numerous changes and nearly five years of development the RM finally entered service. By 1962 the entire Trolleybus fleet had been replaced almost exclusively by Routemasters. 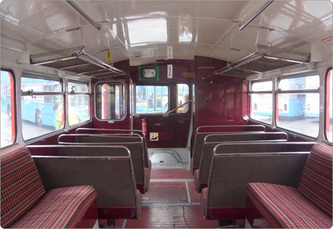 In this period RM8-879 were all built and had entered service. Increasing the length and capacity of the RM was another contentious point, with both the Unions and Met Police being against the idea. 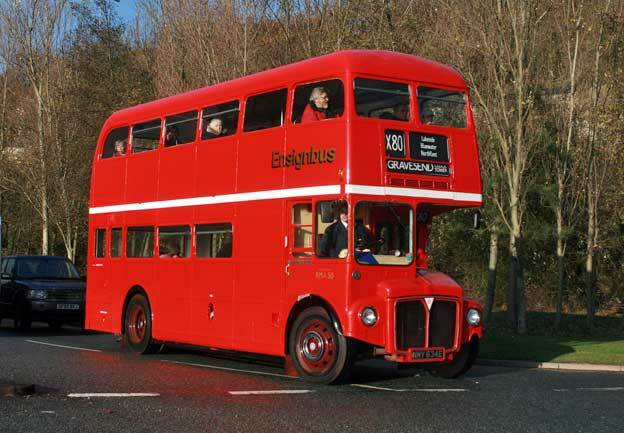 However in 1961 a batch of 24, 30’ long 72 seat versions, known as the RML or Routemaster Lengthened, were built to trial. These took the numbers of RML880-904. Following this batch, whilst the trial continued with the longer versions, production continued on the standard length RM producing numbers RM905-1452. The next version was the batch between RMC1453-1520, which were built as Routemaster Coaches (RMC). 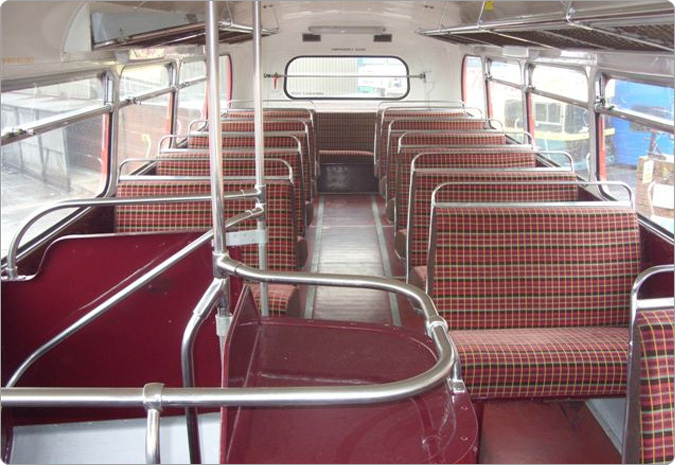 These had such delights as deeper more comfortable seats, Green Line livery, powered rear doors, twin headlamps and interior luggage racks and were far quicker. 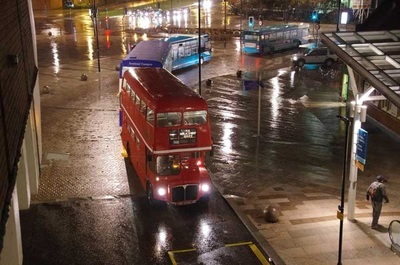 Following this batch production again returned to the standard RM which ran through from the number RM1521-2217 which became the very last standard length RM built. Permission had now been granted to run the longer RML’s in Central London and the final production batch ran from RML2261-2760 were all built to this specification. 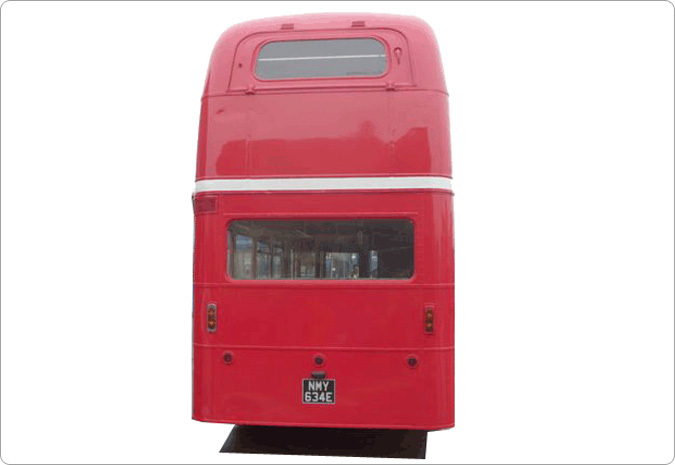 Two batches of 50 of these RML’s were built for the Country Area and were delivered in Green being RML2306-2355 and RML2411-2460. The final type of RM to enter service with London Transport was the RMA, or Routemaster Airport, version which originally ran for British European Airways bringing passengers to and fro between Central London and Heathrow before the Underground was extended there. 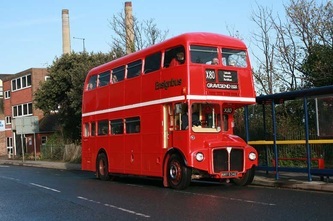 The Routemaster was gradually withdrawn from London in the 1980’s before a change of plan saw many of the longer versions (and some standard length ones) be refurbished in 1990-92 when they received new engines, lighting and seating. In 2000-01 some had another refurbishment where they were fitted with more environmentally friendly engines and new gear boxes. 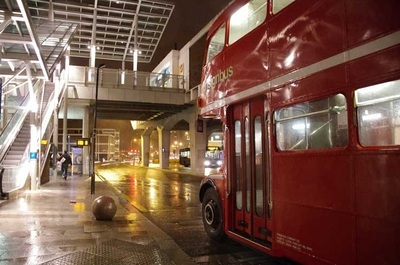 However, the policy changed in 2003 and the final 20 routes were given warning that at next change of contract the vehicles required would not be RM’s. One by one these routes were withdrawn with the very last, the 159’s, finishing on December 9, 2005. 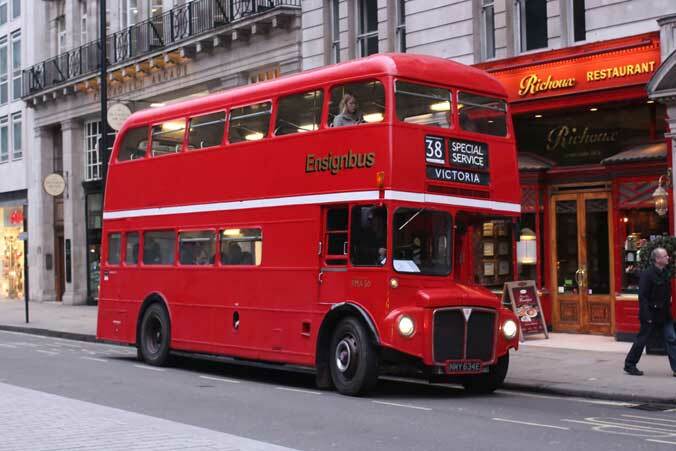 However, such is the popularity of this type of vehicle that around 16 were retained for use on two heritage routes in Central London. With the introduction of ever bigger aircraft and more people travelling, the long standing connection by bus between Heathrow and Central London was an obvious choice to be operate double decks. 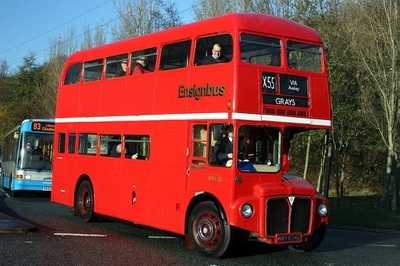 Hence a specially designed Routemaster was commissioned that could travel at 70mph, tow a trailer for the luggage and even offered a paraffin heater to keep the bus warm should there be long flight delays. 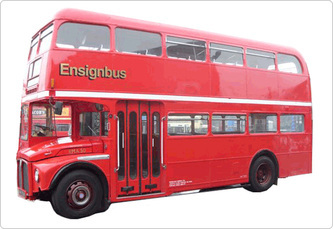 65 of these vehicles were ordered and they were delivered in the livery of British European Airways, with RMA50 entering service as BEA34 in February 1967. Three years later the fairly dull livery of blue and grey was replaced by a very unflattering orange, which itself was replaced by the blue and white of British Airways which was formed when the merger of BEA and BOAC to took place. 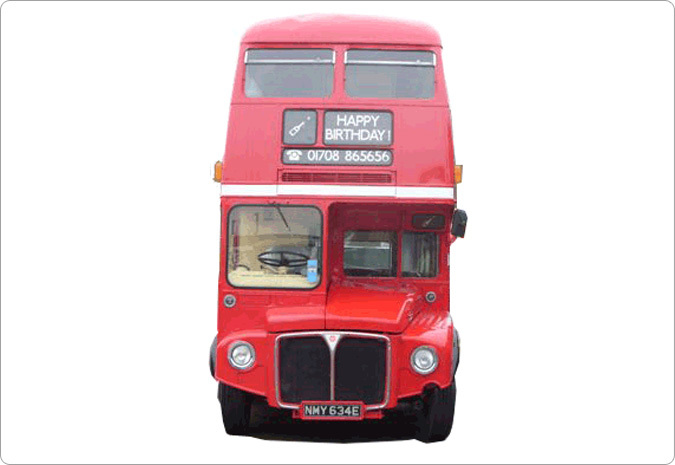 After just 12 years, the vehicle was withdrawn from this service and purchased by London Transport from British Airways. 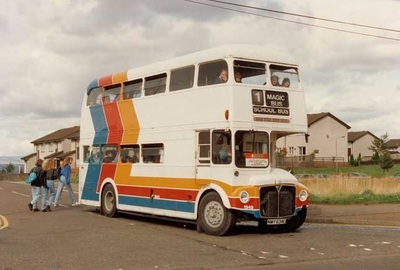 The vehicle then became a staff bus running at Fulwell and took on a distinctly scruffy and unkempt appearance operating in the blue and white livery of its former owner until withdrawn by LT in November 1984. 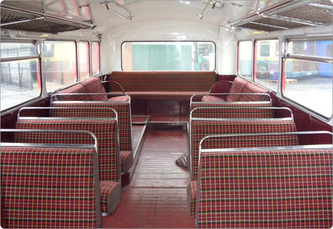 The vehicle was sold to the fast growing Stagecoach company based in Perth and made the journey north of the border to take up duties in Perth, Glasgow and with Kelvin Scottish. 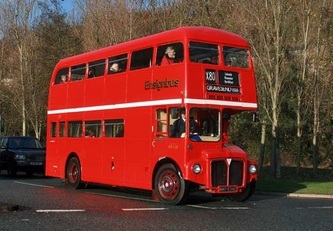 In 1993 the vehicle was selected to join the Stagecoach preserved fleet where it remained until 2001 when it was sold to Lothian Buses for use on their Mac Tours vintage sightseeing service. Whilst with Mac Tours it received a new engine and gearbox and complete overhaul and it remained working on sightseeing services until acquired by Ensignbus in 2009.